If you trace your fingers along a map of the Matilda Way and Adventure Way, they’ll meet each other in Cunnamulla. Whether you’re heading from Melbourne to the Gulf or Brisbane to South Australia, this outback town will end up in your travel agenda. 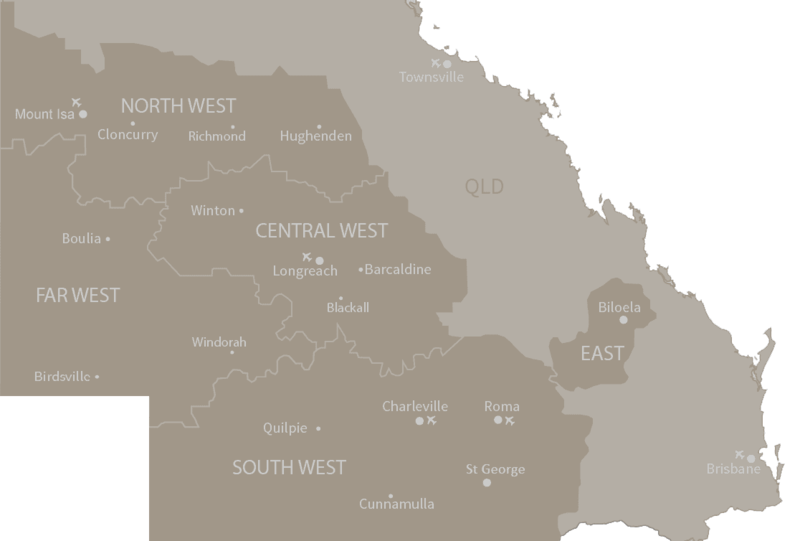 Perched on the banks of the Warrego River, you’ll find Cunnamulla 780km west of Brisbane and 140km north of the New South Wales border. This town was once where bullock teams passed through and shearers spilled from bar windows; but today the small town is known for its natural outback beauty and outback hospitality. 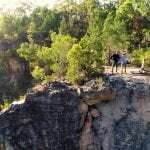 Here are ten things to do in Cunnamulla. Paying tribute to the region’s pastoral heritage, Aussie icon Slim Dusty often wandered the streets of Cunnamulla and popularised the tune, Cunnamulla Fella. In tribute to the well-known outback song, the giant Cunnamulla Fella in the centre of town is hard to miss. The Warrego River is much more than a place for fishing fanatics. You can go birdwatching, kayaking, fishing, yabbying and top it off with a swim. If you’re after a more relaxing time in town, kick back on the banks or unwind with a stroll along the dirt 1.6km Warrego River Walk for a lazy afternoon and check out the local flora and fauna. If you’re wanting to spot a kangaroo on your outback trip, Cunnamulla is the place to be. With approximately 950 roos per person in Cunnamulla, this town takes home the title of ‘Outback Queensland’s largest roo population’. Be wary while driving around Cunnamulla as these mates often hop, skip and jump near the roads, so check out these safety tips here. Ever wondered if the Australian bunyip was fact or fiction? It’s said that the mythical creature may be a cultural memory of a Diprotodon, a species of Australian megafauna and the largest marsupial ever discovered. Guess what? If you’re looking for one, you’ll find their fossilised remains a short 69km trip up the road in Eulo. Megafauna evolved after the dinosaur era; although extinct, you can still see their decedents like roos, crocs and wombats today. Want to get digging? 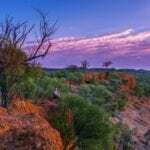 You can help dig for megafauna in Eulo with the help of the Eromanga Natural History Museum who run five day long dig experiences in each August. Make the 160km trip to Yowah for the chance to walk around a living opal gallery. You’ll find all forms of opal in Yowah, but keep your eyes peeled in the fossicking field for the Yowah nut, a precious opal in siliceous ironstone nodules. Majority of the town’s residents are small scale opal miners, so if you’re looking for a hot fossicking tip, just ask a local. After exploring, slide yourself into an outdoor bathtub in Eulo. Relax your body and mind as you soak in mineral rich mud drawn freshly from the artesian springs, while you sip on a glass of wine and indulge in a plate of nibbles. 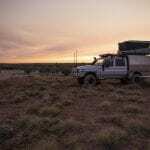 For National Park lovers, Cunnamulla is a great base to discover two of the finest natural encounters in the bush. Take a day trip to Lake Bindegolly, an important feeding and breeding habitat for over 60 species of waterbirds and one of the most important wetland systems in the south-west. Or visit one of Queensland’s biggest National Parks, Currawinya National Park and explore Lake Wyara and Lake Numulla, home to some of Australia’s most important inland waterbird habitats. In August each year, cowboys, bull riders, shearers and stockmen herd to Cunnamulla for a weekend to celebrate outback spirit and heritage. See how your bush skills scrub up in the Cunnamulla Fella Challenge which includes events in whip cracking, wool rolling and bull riding. Yee-hah. Riddle me this, where would you find sand dunes 850kms from the beach? Find your answer in Cunnamulla. The climb to the top of the town’s natural sand dunes may be tough but the thrilling rush sliding down will make you want to go again, again and again. You can hire a sand board through Out the Back Australia on Louise Street. If you like camping spots with more room to move, take your camper trailer to Charlotte Plains Station. Here, you can camp waterside and jump straight into the artesian springs from your portable home. Catch the last rays of light or try spot a shooting star from the comforts of one of the tubs or spring. 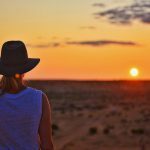 Have you been to Cunnamulla? What did you do there? Let us know in the comments below. Cunnamulla is ideal for bike riding so the bikes came out and we explored the town dropping into various shops, a local opp shop, talked to the locals and enjoyed good old fashioned local hospitality. We also enjoyed a visit to the museum at the information centre, checked out the goats in the holding pens over the bridge and checked out the tree where a robber hid from police. where is cunnamula, how about a map?